Omnipure SCL10 2-inch x 10-inch GAC Phosphate Inline Filters come in three different inlet/outlet sizes. The Omnipure SCL10-B inline filter has a 1/4-inch FPT connection. The Omnipure SCL10-B Water Filter can be used in ice machines, water coolers, drinking fountains, undersink systems, and reverse osmosis systems. You may also purchase fittings if your current fittings are worn out. The Omnipure CL Series has been an industry standard for over 30 years. The Omnipure SCL10-B inline water filter utilizes a unique spring disc that keeps media under ideal pressure, eliminating channeling and ensuring an equal distance linear path. The Omnipure SCL10-B inline filter has no glues or binders, which may cause contamination, used in the manufacturing process. Instead, components are friction-welded together, producing a reliable, no-leak seal. The Omnipure SCL10-B inline filter has threaded connections which are precision cut by machine resulting in the most accurate and repeatable thread possible. 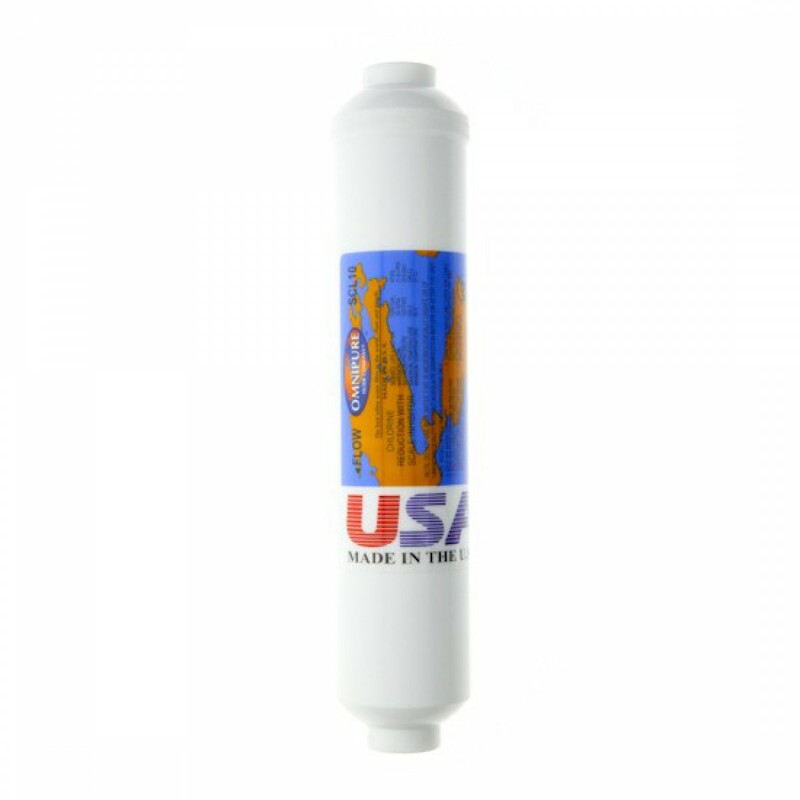 The Omnipure SCL10-B inline water filters contain granular activated carbon to reduce chlorine taste and odor and polyphosphate to control lime and scale deposits.